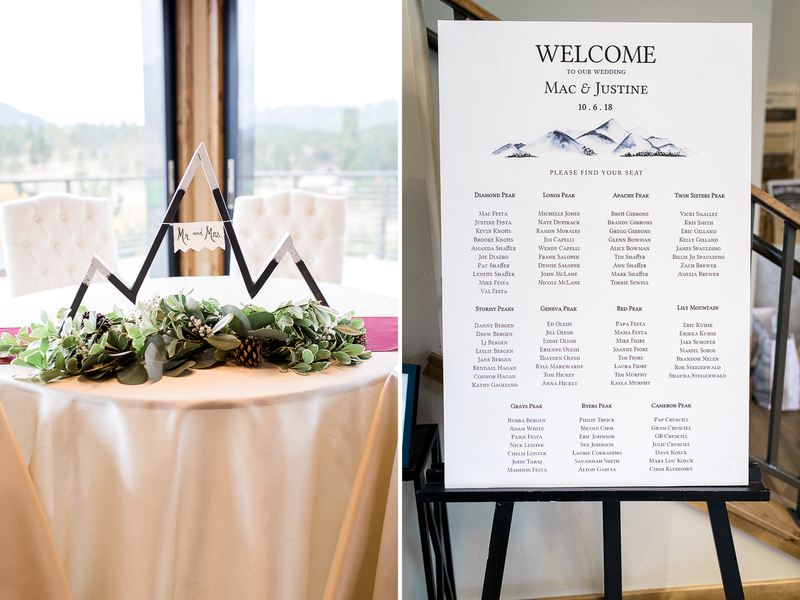 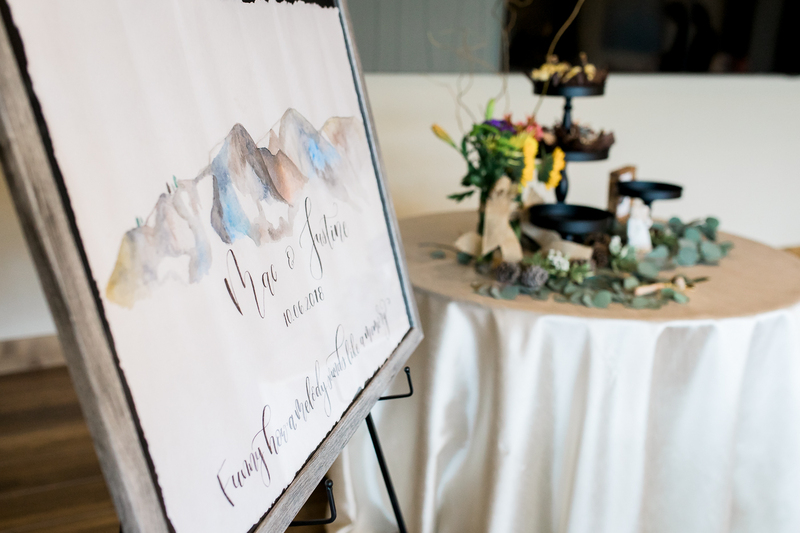 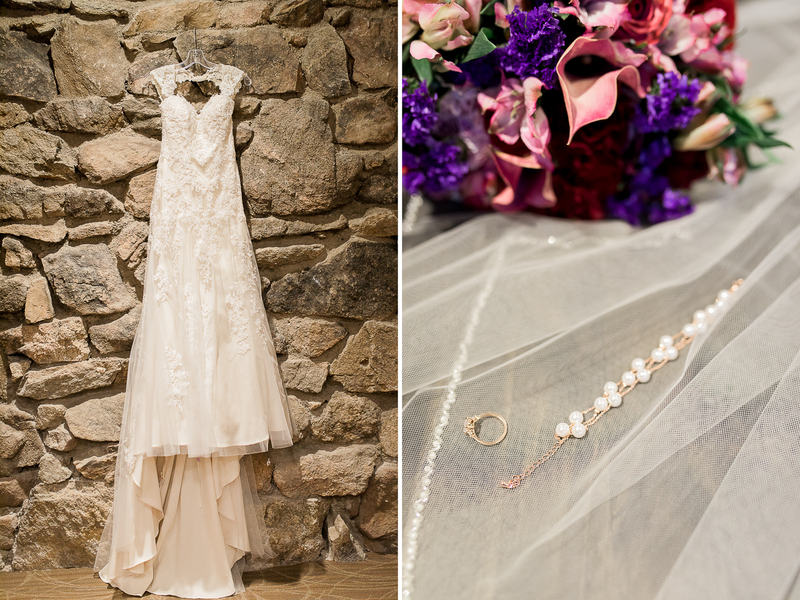 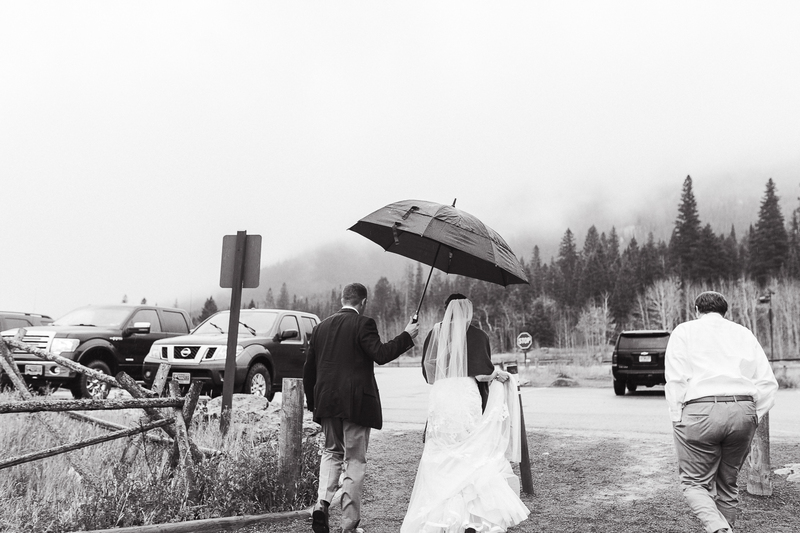 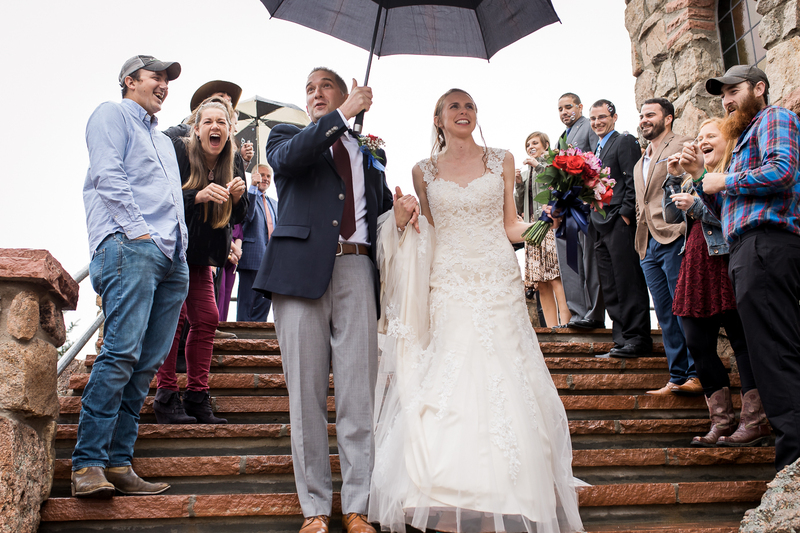 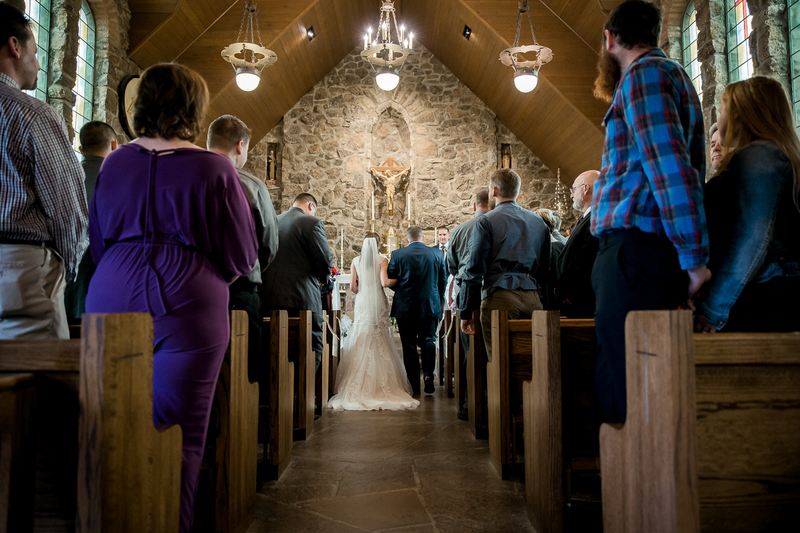 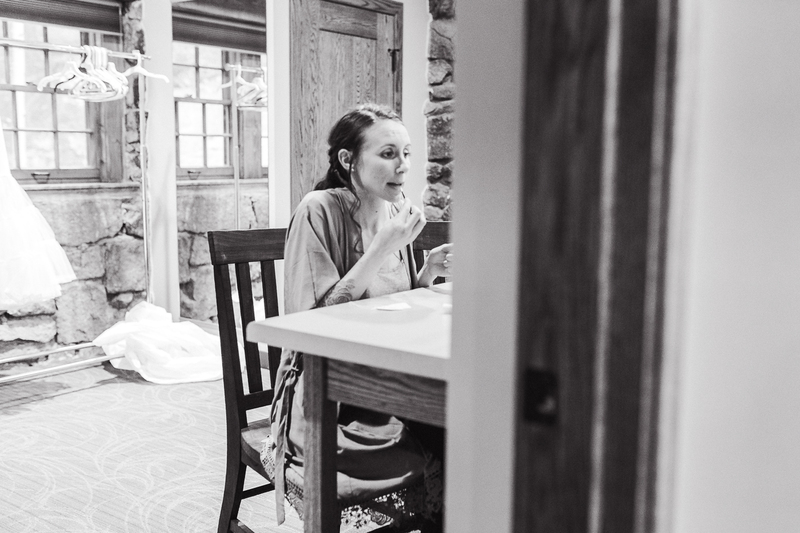 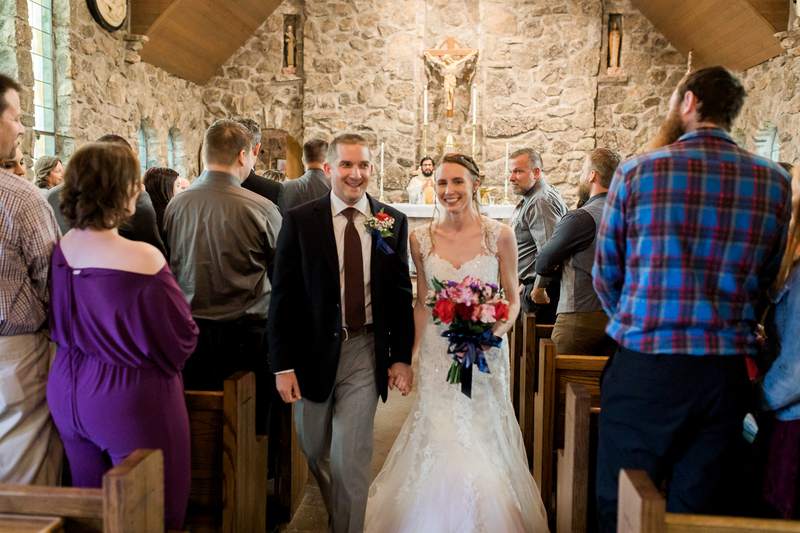 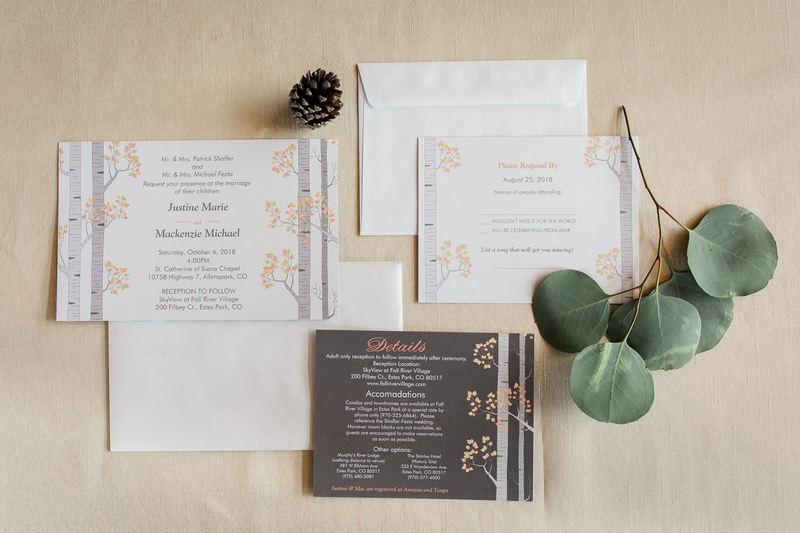 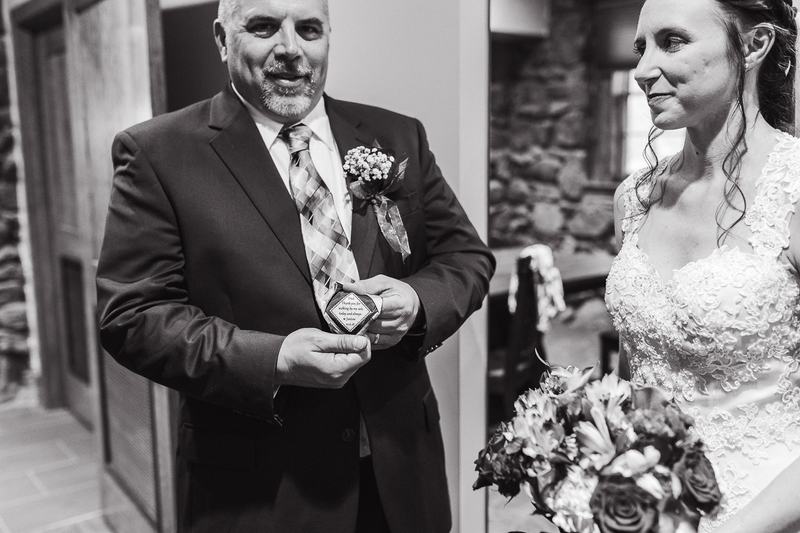 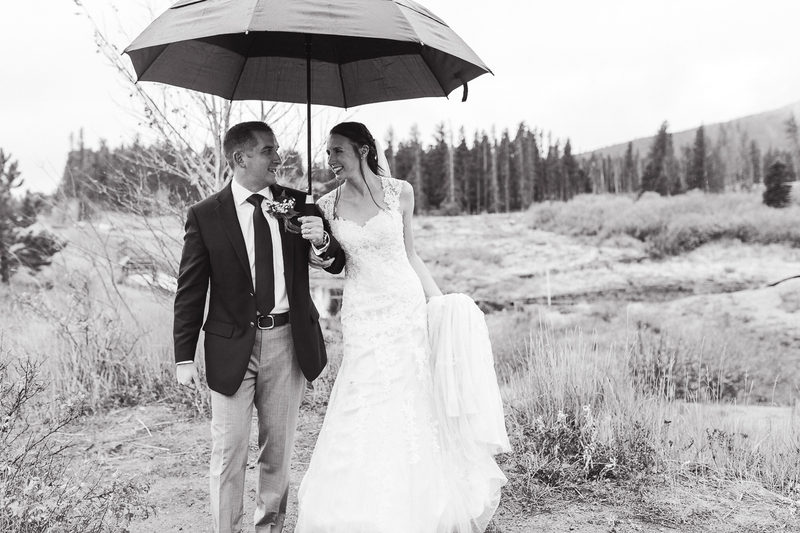 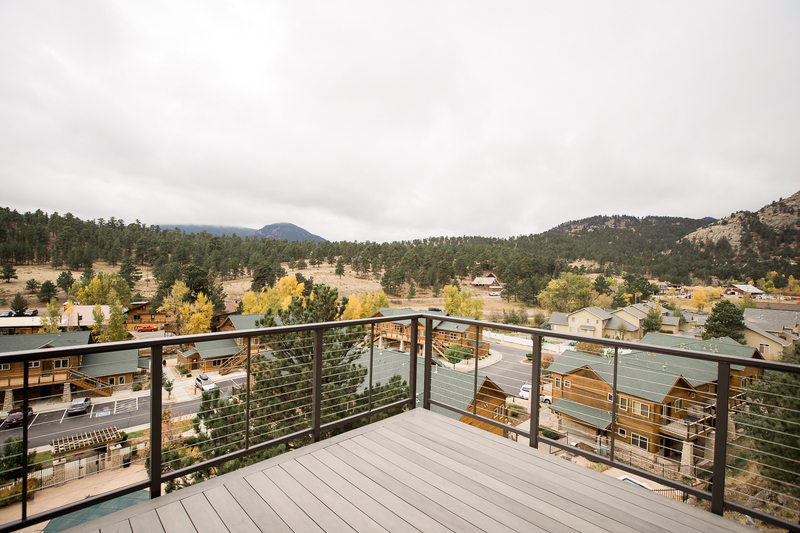 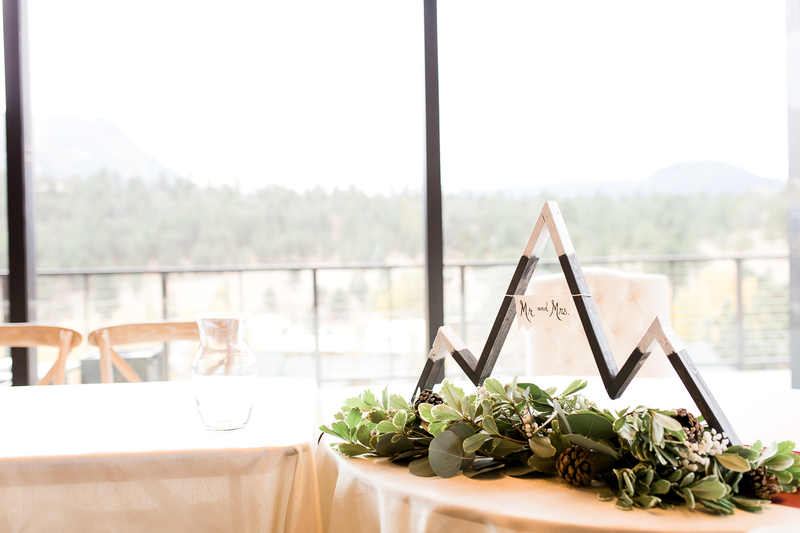 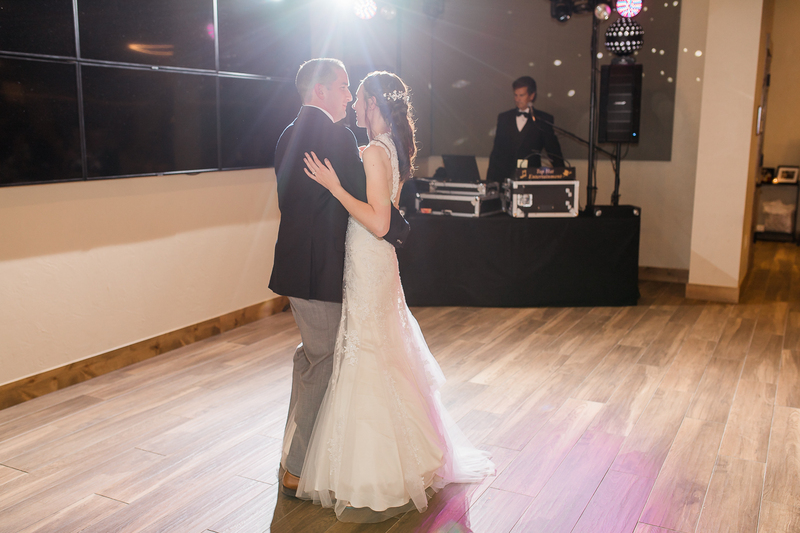 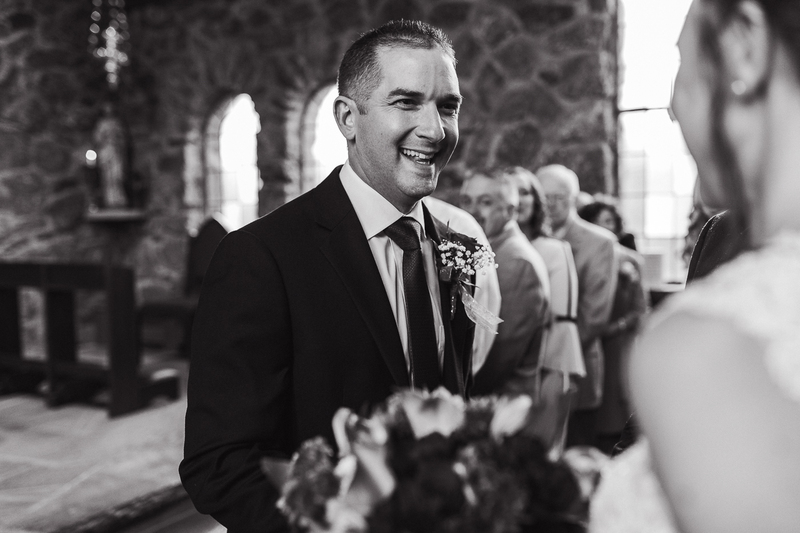 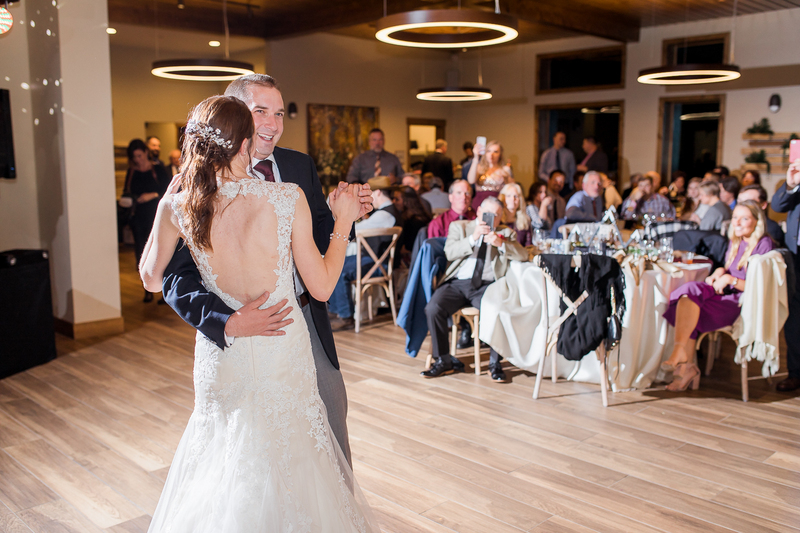 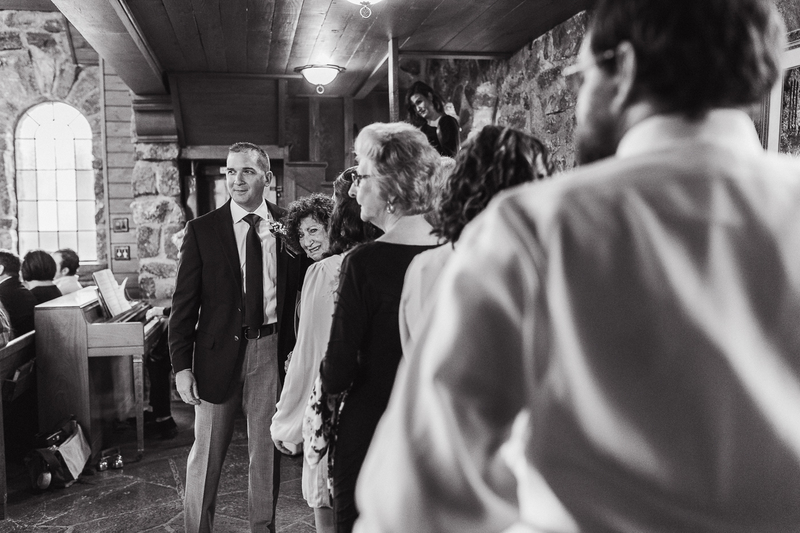 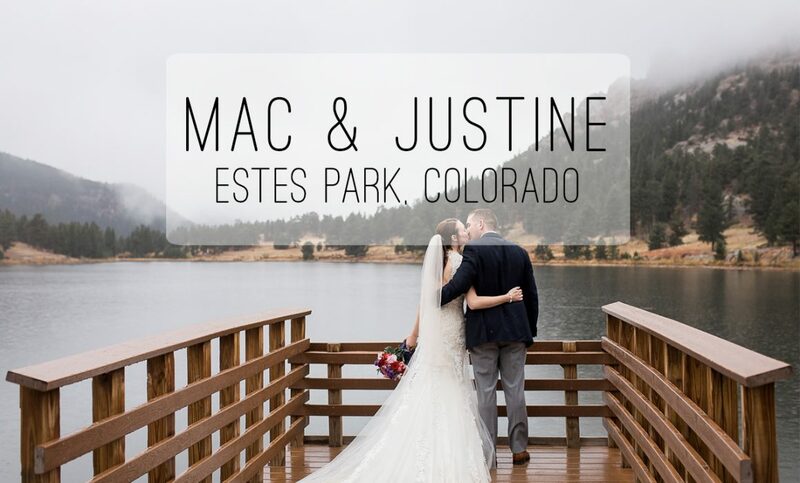 Justine & Mac’s Estes Park,Colorado wedding was beautiful from start to finish. 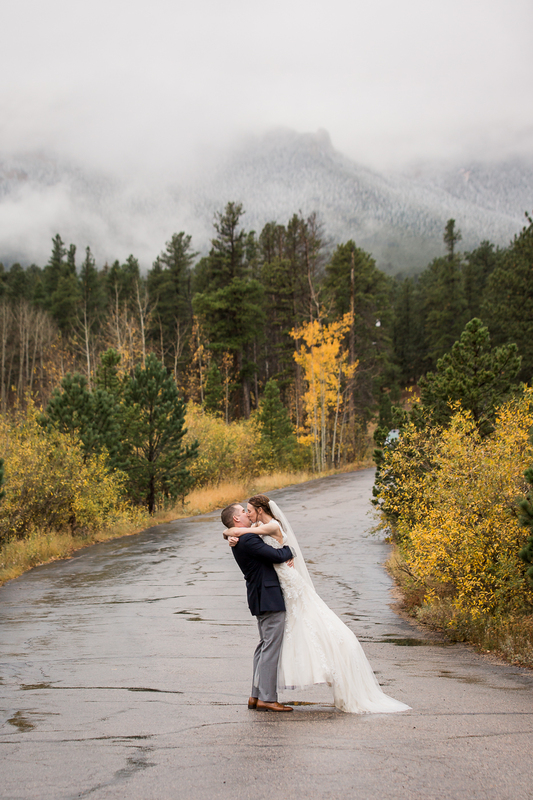 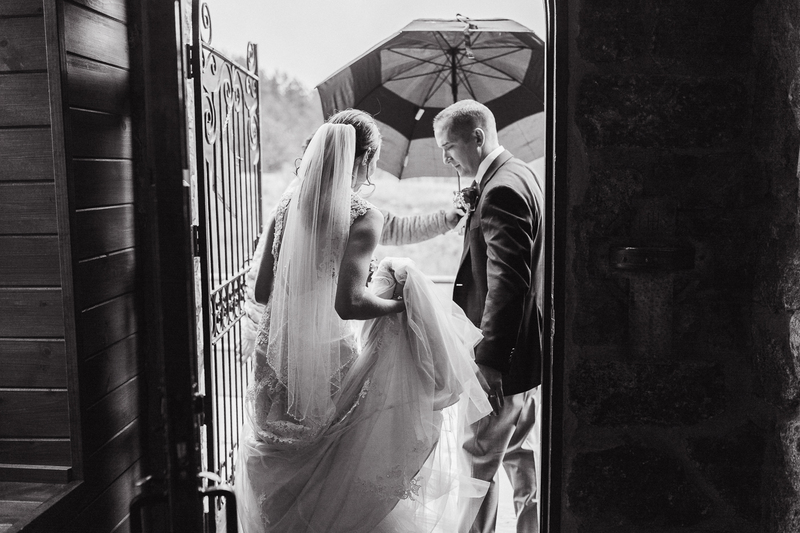 Storms rolled in and the rain fell, but the weather couldn’t put even the smallest damper on this perfect day. 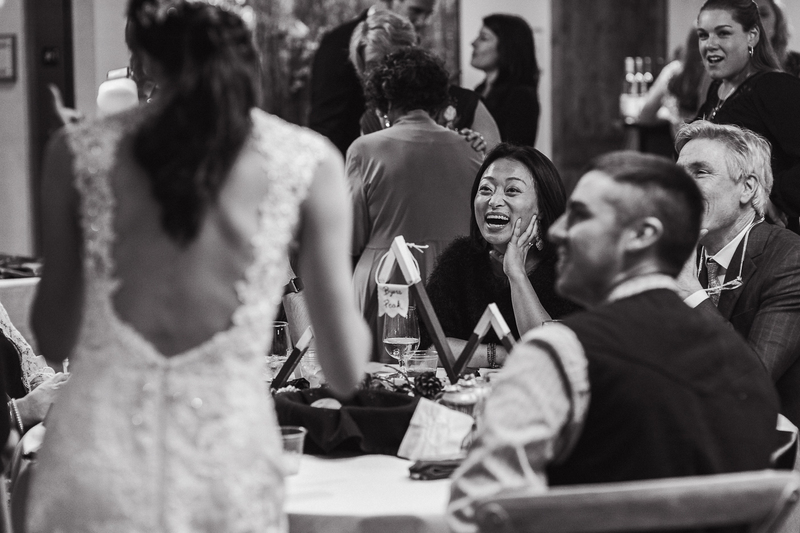 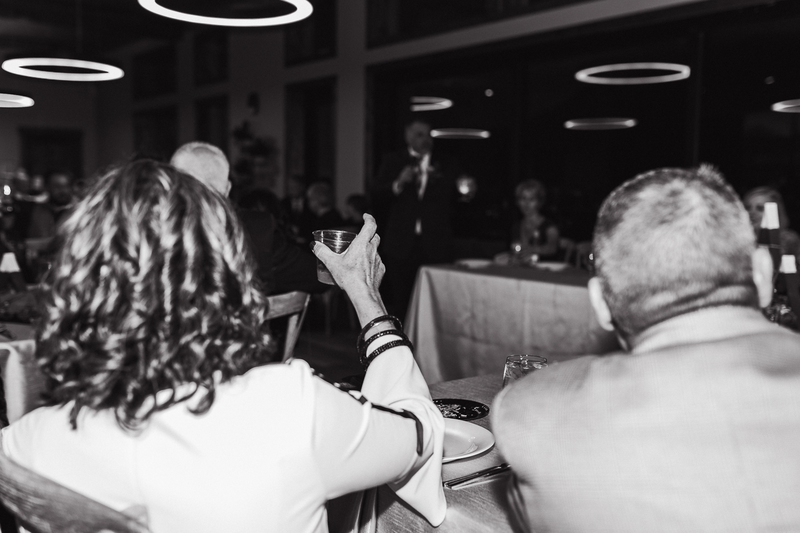 Family came from afar, friends laughed, glasses were clinked for the newlyweds, and the celebrating continued long into the night. 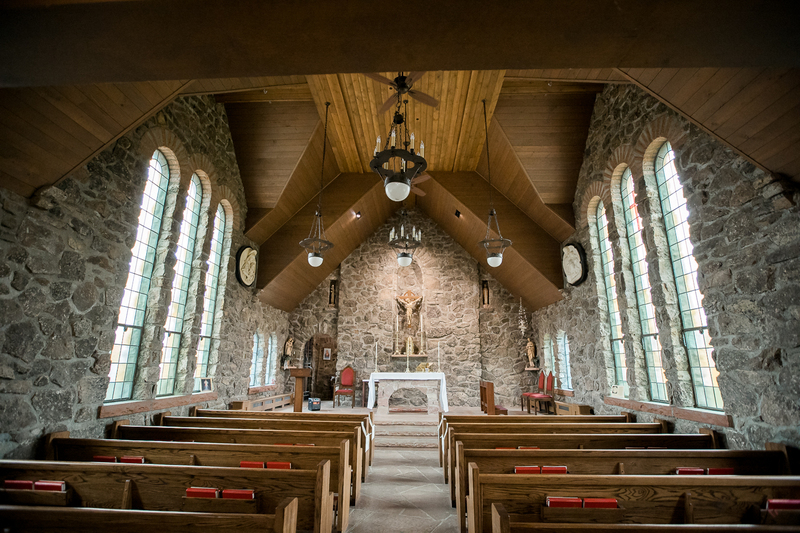 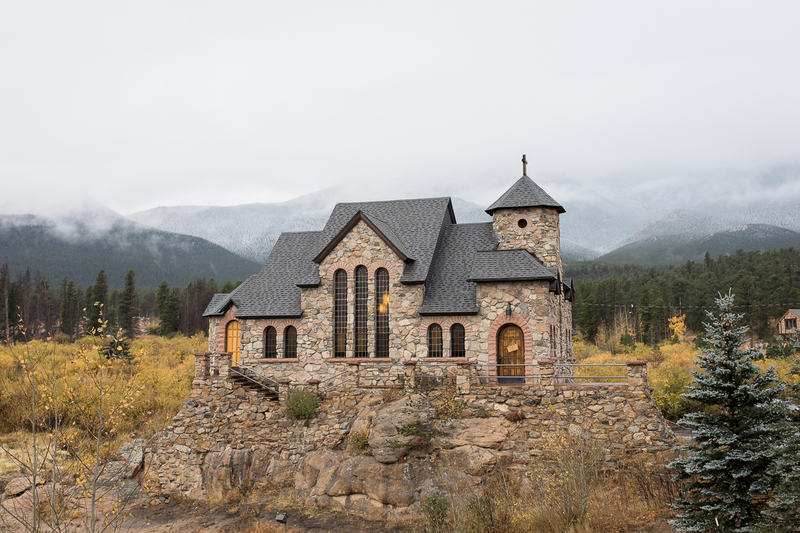 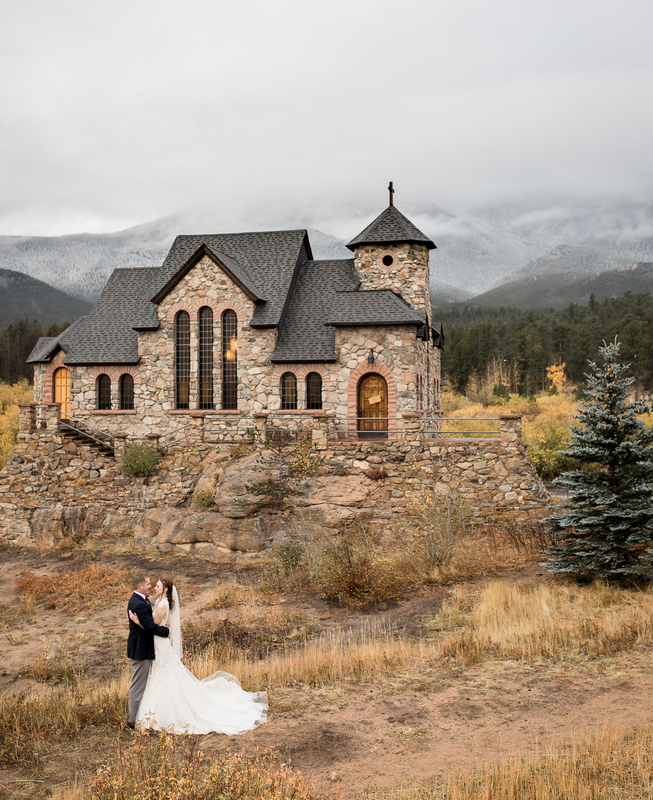 High in the mountains above Estes Park, St Malo’s chapel was surrounded with fall foliage and etherial mist. 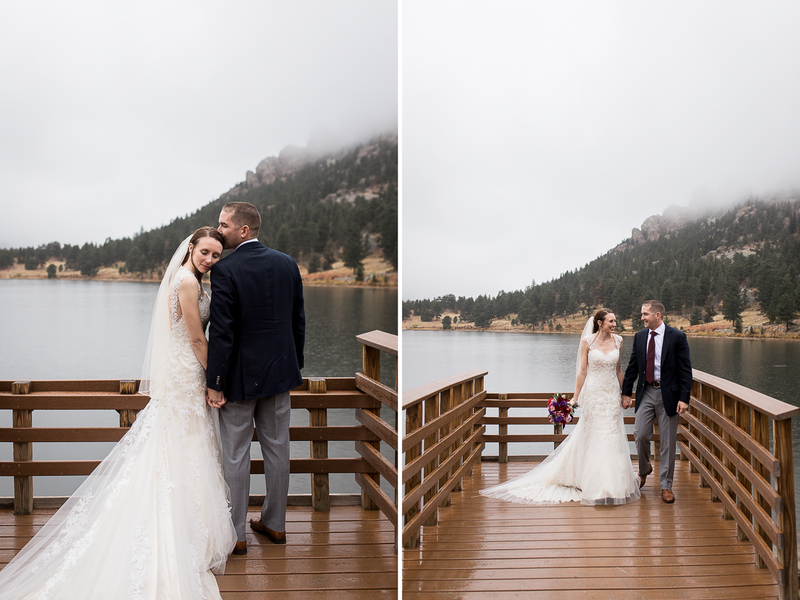 Nearby Lilly lake was the perfect pit stop for portraits on our way down to Skyview at Fall River Village. 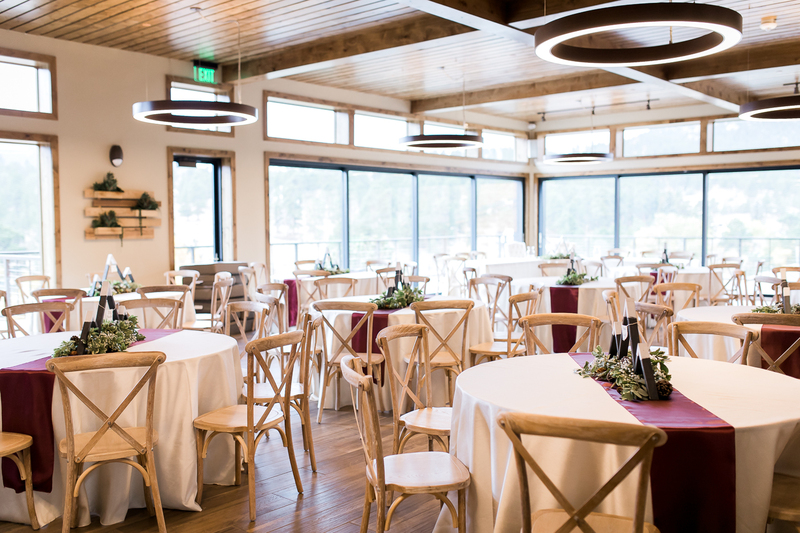 There, the deck and 360 degree views made the reception all the more magical. 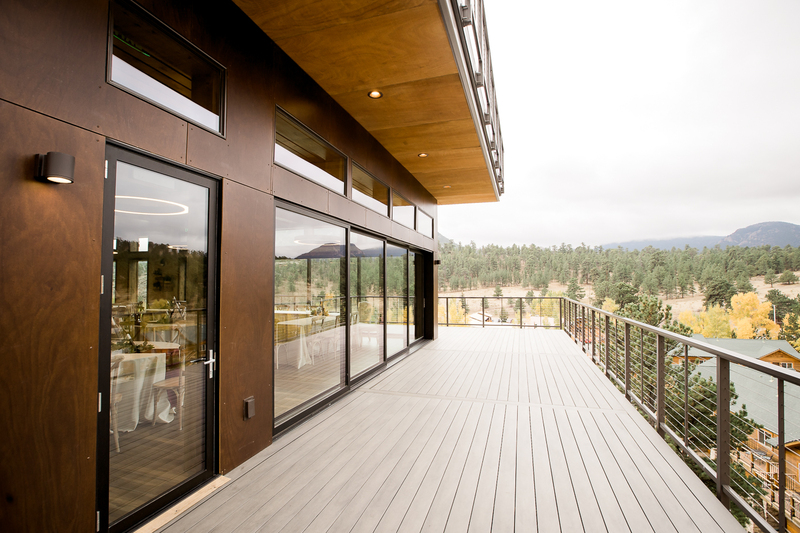 Bubbles, views-for-days, the love of family and friends, and ice cream to top it all of?! 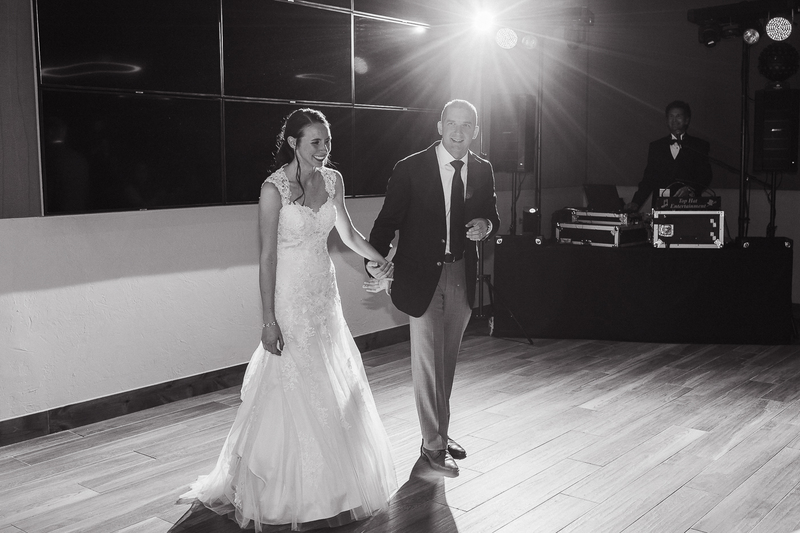 It was an honor to celebrate and document this perfect day & perfect pair. 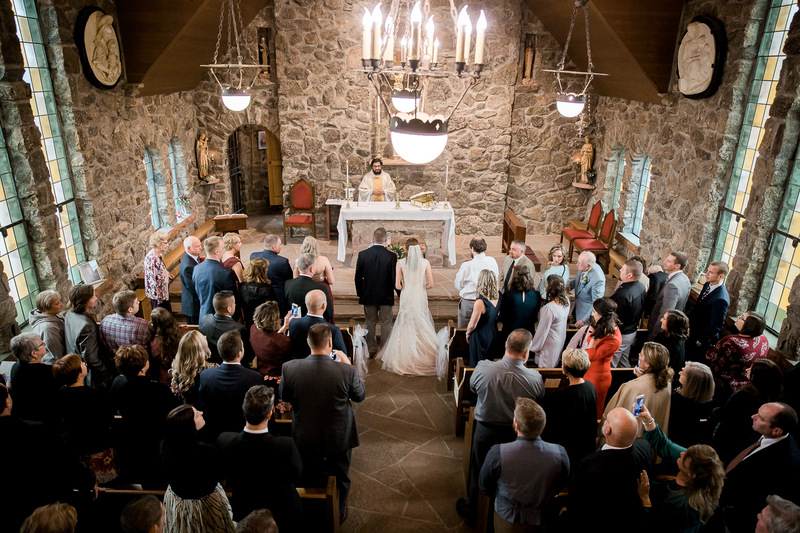 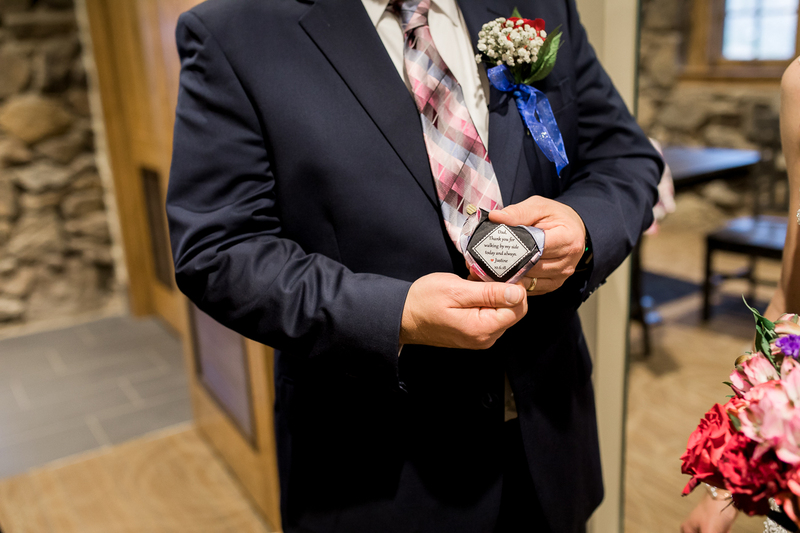 Thank you for inviting me to be a part of your incredible love story. 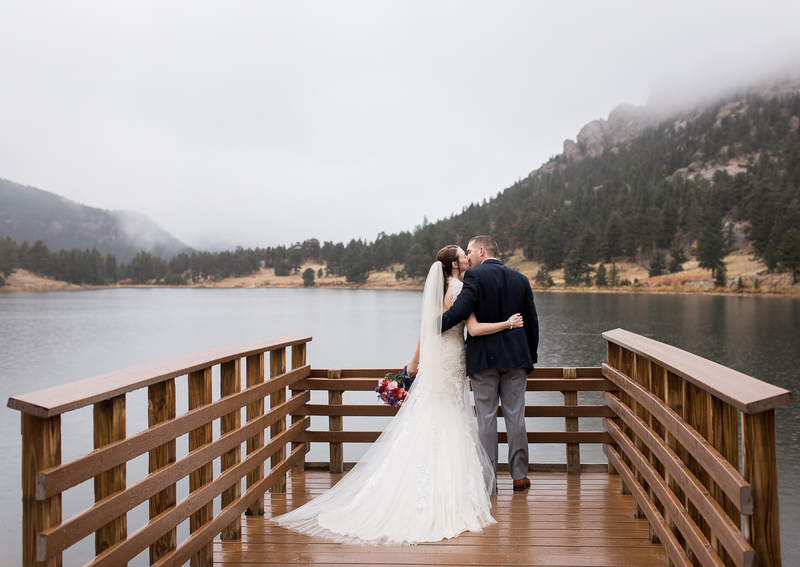 From your Wyoming engagement session to your mountaintop Colorado wedding… getting to know you has been an honor and a joy! 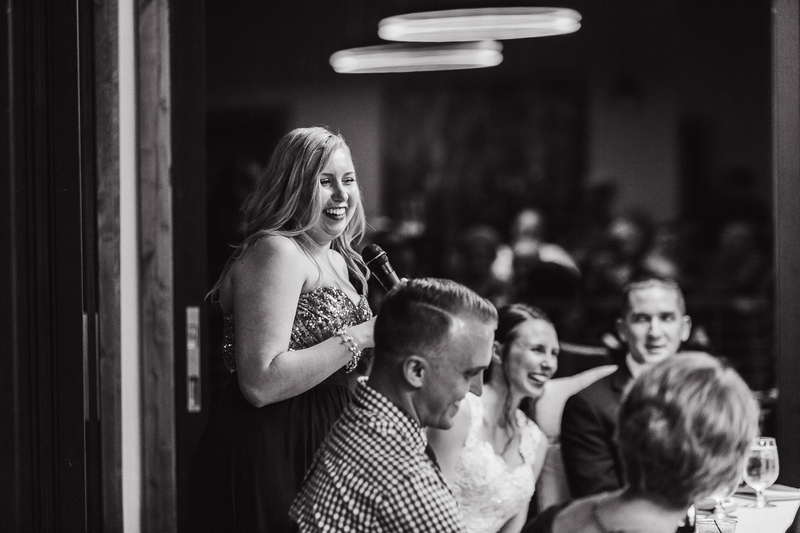 Never stop being so good to each other – and never stop being your -wonderful, intelligent, kind, and light-filled- selves! 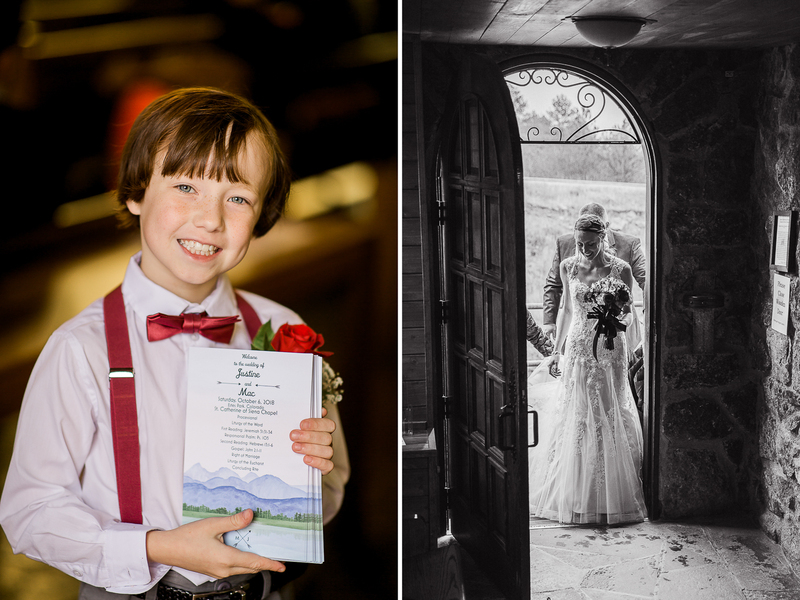 These photos are beautiful! 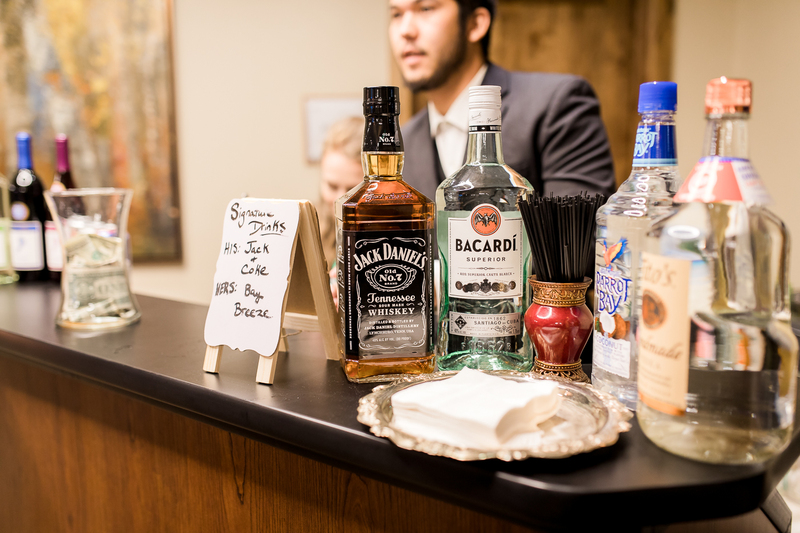 I would love to be able to use the one you have of the bar; thanks so much for offering!